Every six months, my son, Caleb’s, physical therapist does a re-evaluation. Caleb’s progress over the last few months is discussed and goals are reviewed. I’ve always hated therapy evaluations, but I understand they are necessary for insurance. Therapists have to be able to show that there is progress and evaluations make that possible. Currently Caleb has a therapy goal of being able to walk in his KAFOs for five minutes without stopping. Caleb can do it… but he hates it. He doesn’t like walking with his KAFOs. He doesn’t like walking. It’s hard, awkward, and cumbersome. Honestly, it’s not functional. It’s simply walking for the sake of walking. He hates it. As we are getting ready for a therapy re-evaluation next week and knowing that we will have to set goals, I asked Caleb if walking is important to him. His answer, without hesitation: no. Walking is not important to him. He’s 9 years old and I think he is old enough to be a part of his goal planning. He should get a say. And he says “no” to walking. I get it. I really do. Walking is really hard work for him. And he needs a lot of support to do it. 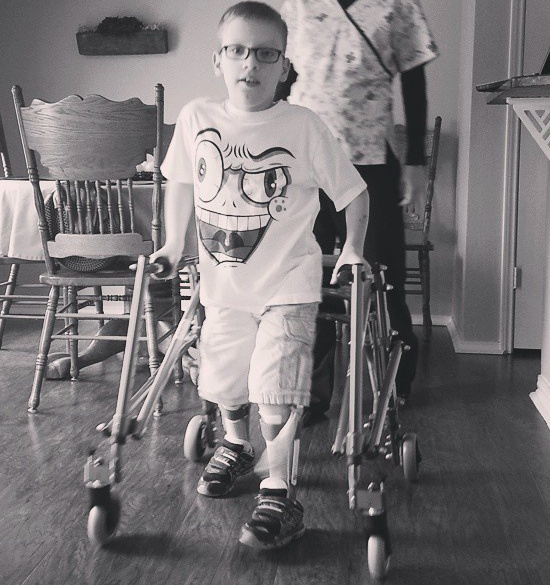 Even when he was walking really well (before the tethered cord surgery three years ago… wow, has it been three years?! 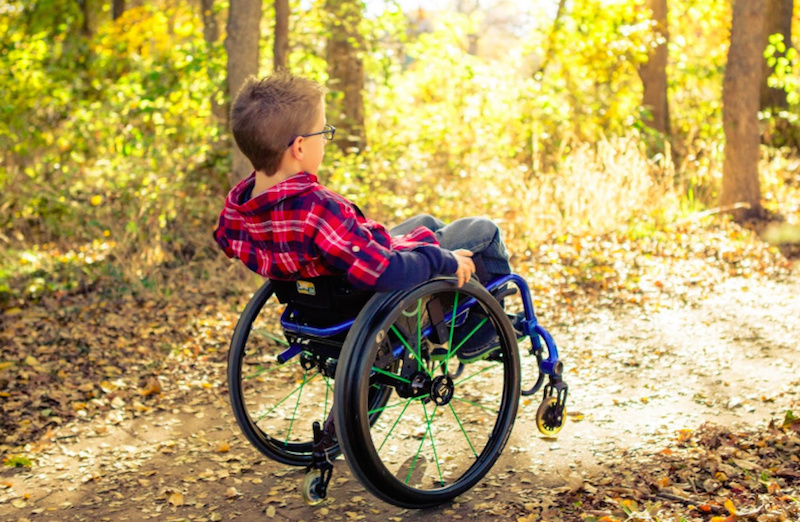 ), he would choose his wheels over his walker when given the choice. After that surgery, he lost everything. He had to start all over. He’s had to work so hard to gain back even some of what he lost. I was hopeful that he would gain back the ability to walk but then weeks turned to months… and now years. I’m not so hopeful now. And honestly, I’m OK with that. I’ve never had a problem with his need for a wheelchair. I love his wheelchair. It is independence, speed, confidence and mobility. It is a blessing. I’m OK if he never walks again. But I want him to be OK with that. I think he is. Walking isn’t important to him. I respect that. I’m actually relieved to hear him say it. I feel like a weight has been lifted. I think he felt the same way. This post originally appeared on Beyond Measure. The Mighty is asking its readers the following: Describe the moment someone changed the way you think about disability and/or illness. If you’d like to participate, please send a blog post to [email protected] Please include a photo for the piece, a photo of yourself and 1-2 sentence bio. Cassie is a coffee-drinking, business-starting, stay-at-home, homeschooling mom of 2 boys, Caleb and Benjamin. Her oldest, Caleb, is 9 years old and was born with spina bifida and hydrocephalus. Benjamin is 6 years old. Somehow she manages to squeeze in a little blogging during her free time.